Not sure why, but I am suddenly surrounded by pirates. My Kindle is loaded with a bunch of pirate-themed books and my husband and I just spent a couple of hours in the car listening to an NPR podcast about pirates. 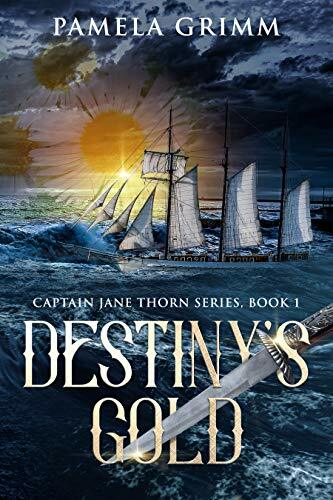 Of course, as I write stories about the sea, I am sometimes asked whether Jane will ever encounter pirates. The answer is “no.” Let me tell you why. Secondly, I think there is plenty of drama and suspense in the world of trade to keep Jane and her crew occupied! While it might make a good story to see Captain Jane, sword in hand, leading the charge at the head of a boarding party, it wouldn’t be very realistic. Just like today, the REAL pirates wear business suits and have offices on Wall Street. And finally, I don’t think I could write a very believable pirate story! I don’t resonate with the blood and gore which are vital to the genre. I would be way too squeamish to do it justice. I think that’s why I have enjoyed Steven Becker’s Tides of Fortune books so much. Yes, they are about a band of pirates, and the intrepid hero seems hell-bent on getting himself and his crew into every scrape imaginable, but they generally escape without resorting to full-on combat.